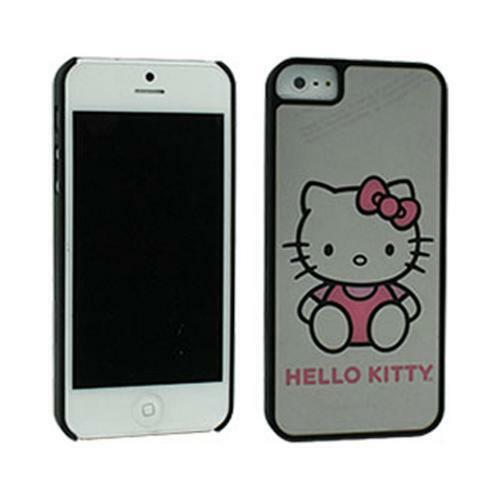 AccessoryGeeks.com | Hello Kitty w/ Bow & Hot Pink Jewels Clear Hard Case for Apple iPhone 5 | FREE SHIPPING! 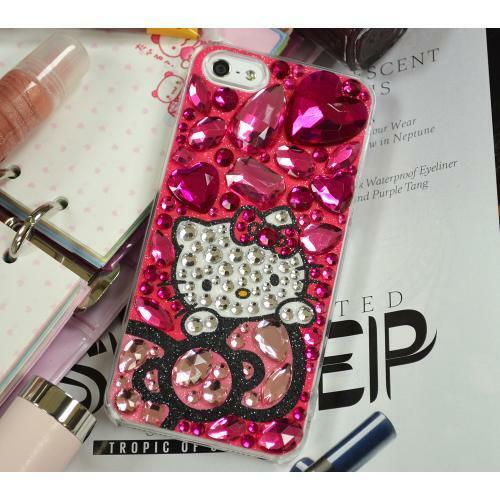 Apple iPhone SE / 5 / 5S Hard Case, Hello Kitty [Bow & Hot Pink Jewels] Protective Hard Case Cover They say diamonds are a girl's best friend, but the Geeks beg to differ! Starting at birth, Hello Kitty has been a timeless source of complete happiness and comfort for millions of girls around the world. They say diamonds are a girl's best friend, but the Geeks beg to differ! Starting at birth, Hello Kitty has been a timeless source of complete happiness and comfort for millions of girls around the world. Capture that nostalgic bliss with this Officially Licensed Sanrio Hello Kitty Apple iPhone SE/5/5S Hard Case! Not only is your favorite friend cute and adorable as always, but the case provides flashy, all around protection for your brand new Apple iPhone SE/5/5S! With a variety of designs at a rock bottom price (because we think everyone deserves a little Hello Kitty in their lives), the question is "Why wouldn't you get one?"